Richardsons Beach, Freycinet National Park, Tas Central East Coast. 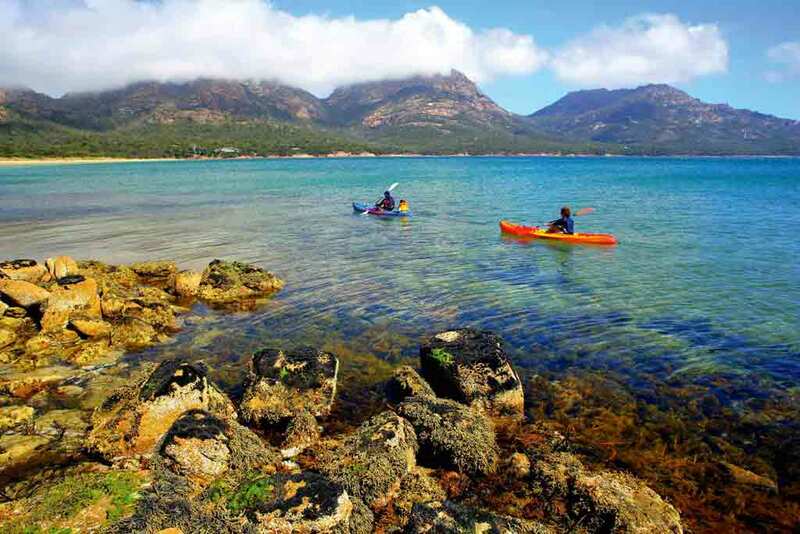 Located in Freycinet National Park on the coastline bordering Coles Bay, Richardsons Beach Campground is aptly named, being 50 metres from the beach. 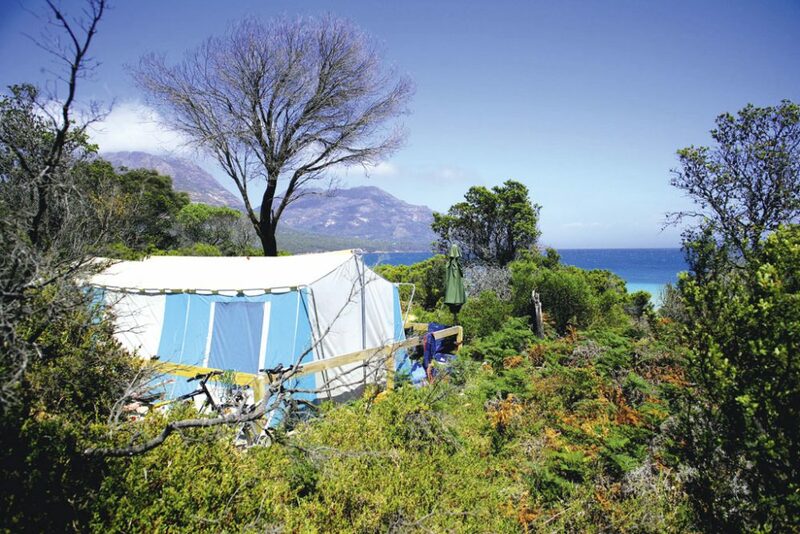 Set amidst lush native forest, and thick with wildlife such as native birds and occasional wallabies, this campground is less than two kilometres from the township of Coles Bay, where supplies can be bought. Richardsons Beach Campground has basic facilities including access to drinking water, electric barbecues and clean flushing toilets. There are 18 powered camping sites and 33 unpowered sites, but demand is great for this popular camping destination. Consequently, a ballot for campsites operates from December 18 to February 10 and during Easter each year. Unpowered sites from $13 per couple per night or powered sites from $16 per couple per night. Daily family passes also available (covering two adults and three children) from $16 for an unpowered site or $22 for a powered site. Entry fees into the National Park also apply, daily passes from $24 per vehicle (covering eight passengers), or $12 per person for those on foot, motorbike, or bicycle. Richardsons Beach, Freycinet National Park, Freycinet, Tas.